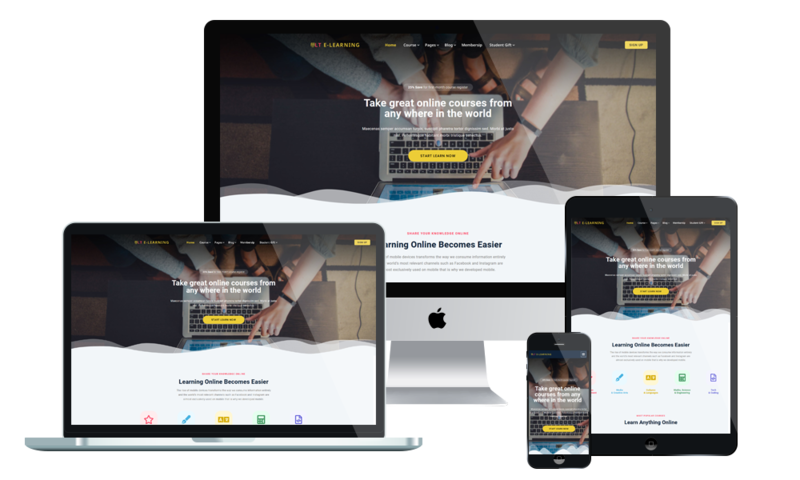 LT eLearning is a Premium and Free Responsive WordPress theme designed especially for school/college websites. This is eye-catching theme built with fancy colors. The template is fully responsive template that adapts to the screen resolution of all mobile devices – smartphones, tablets and desktops. The template framework come with many features such as powerful shortcodes for present content easily, drag-drop layout content, Bootstrap CSS & Hybrid framework. Especially, with the help of its unlimited color and a color picker in the admin panel, you can create an elegant presence for your site with various layouts. This page is important to show off your teacher and give them the chance to shine. The staff listing page displays teacher images with their names and titles.t just a click.